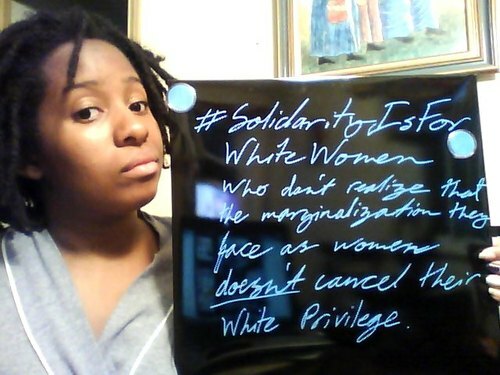 Photo: One Tumblr user’s contribution to the #Solidarityisforwhitewomen discussion. When I spoke to Mikki Kendall on August 14, just two days after she started the nationally trending Twitter hashtag#SolidarityIsForWhiteWomen, she was tired. The discussion started on Twitter had spurred much-needed and long-ignored conversations about the treatment of women of color by Big Name Feminism. Push(back) at the Intersections: It's Been Swell!